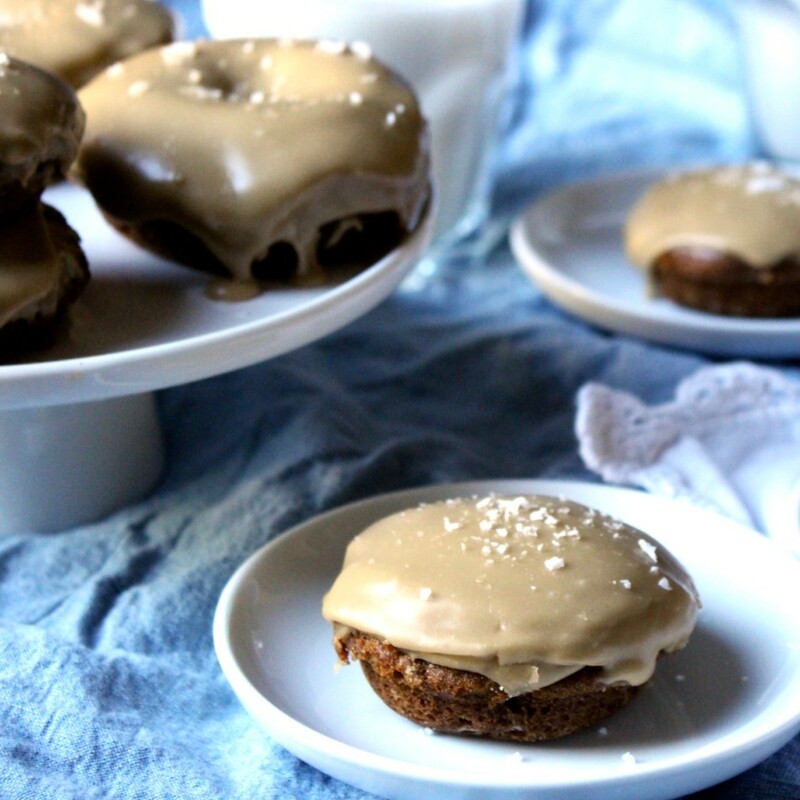 Last year I made this recipe as baked doughnuts for Chanukah (twice in one week for obvious reasons), and a similar recipe to this one for the back-to-school apple pie cupcake. Fall is my favorite season for baking. I’m a sucker for the aroma of apples and spices lingering in the air, that and pumpkin spice, and gingerbread and … never mind … I just love this season. 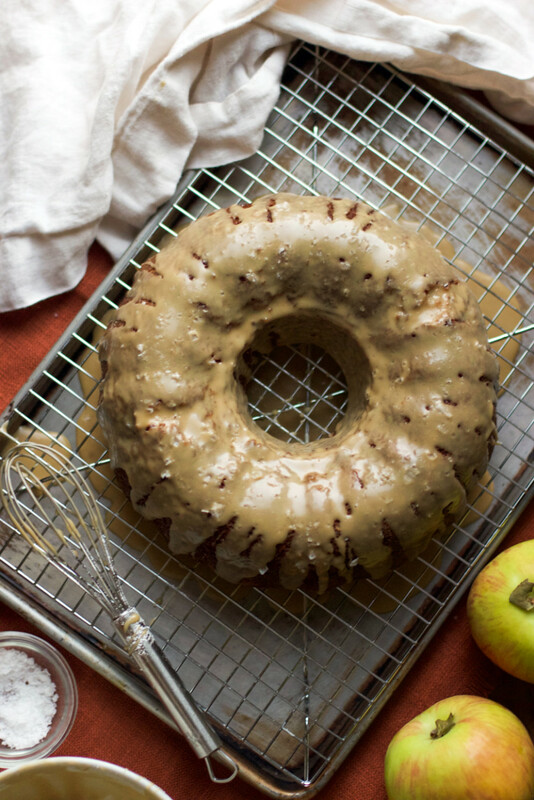 Time to get this warm and cozy baking season started — fall season has arrived! Need to make those doughnuts again. 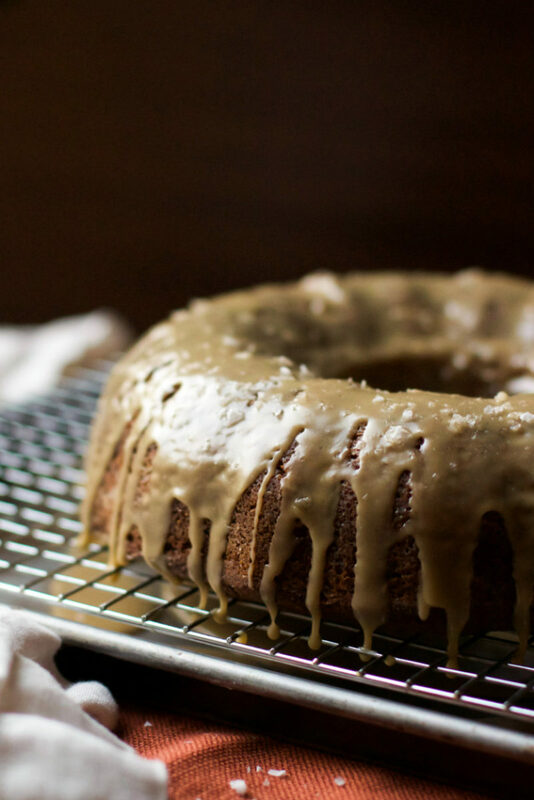 This time around I used grain-free flours for a bundt cake with the quickest salted caramel glaze ever. But before baking the cake, we need some old-fashioned homemade applesauce to really make it stand out. You’re probably wondering why would I when there is plenty of applesauce at the market. BUT, I must tell you, it won’t be the same. I tried the easier route and now can’t imagine the cake without. Homemade sauce, especially, when apples are in season is one of those things that’s worth the extra step. 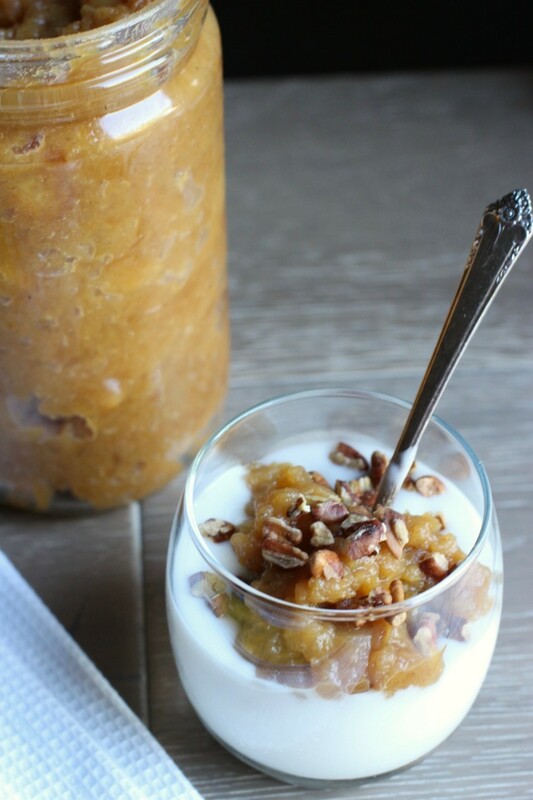 … and so good over coconut yogurt with some pecans. I find the best-tasting applesauce needs a hint of vanilla, cinnamon and a combination of sharp, tart and sweet apples — Granny Smith, Honeycrisp, and Gala are what I generally use but also find Gravensteins, Braeburn, Aurora, Jonagold, and Golden Delicious perfect for sauce making since they don’t release as much water as other varieties. Some add ‘butter’, I find it to be an unnecessary distraction to the apple flavor. So, yes, peel, core and cook some apples because: a) your home will smell incredible (!) 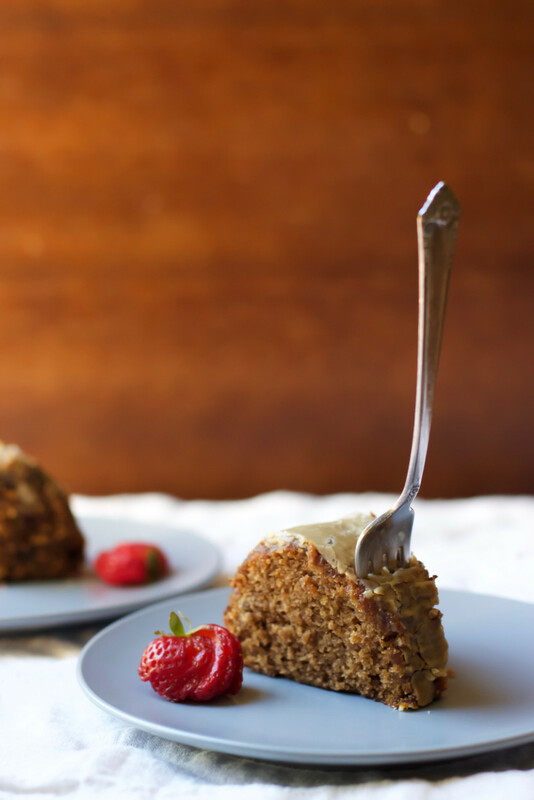 b) once you taste it you will want to double the batch the next time and never buy store-bought again c) it’s quick and easier than one would think d) make it days in advance for convenience d) THIS BUNDT CAKE. 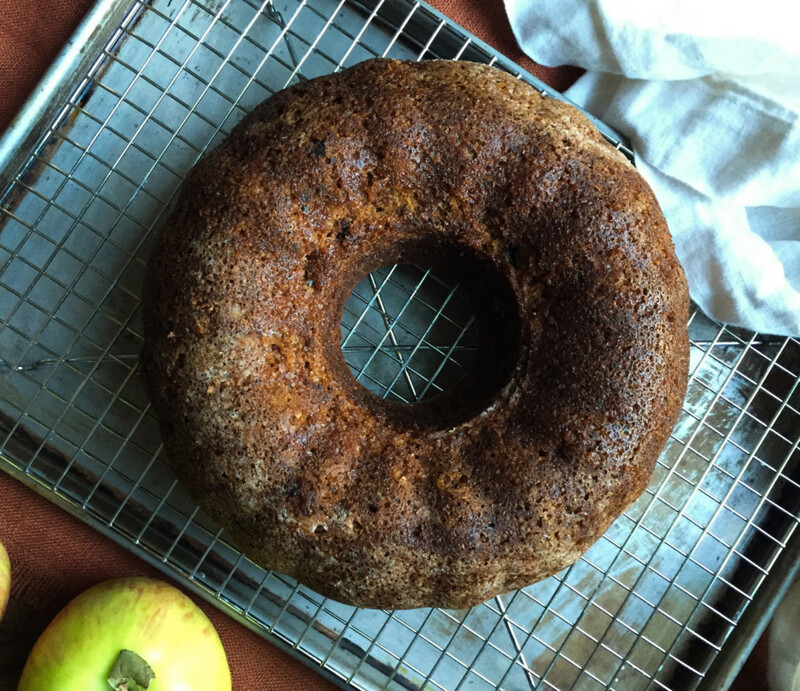 If celebrating the Jewish New Year, Rosh Hashanah, and need a holiday-worthy cake recipe that will also feed those with allergies, celiac, and/or vegan? I can’t think of anything more delicious and accommodating and it’s best when made a day ahead to free up oven space the day of. It’s perfect for any large family gathering, taking the pressure off of having to “do it all” in one day. I made it for last Friday night’s dinner with a few slices remaining … the pictures below are from the next morning and as you can see kept incredibly moist with a taste similar to caramelized apples inside. In fact, I recommend baking it a day ahead because the spices were more pronounced as well, and glaze before serving. 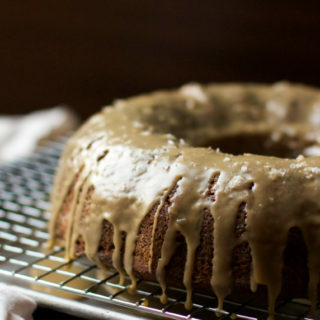 It’s also is a beautiful bundt with a light sift of confectioner’s sugar; or glazed without the salt, in case Aunt Helen has a thing with flaky sea salt on what should be a traditionally sweet Rosh Hashanah cake (I get it but couldn’t resist the salty/sweet combo the other night). I came across the Paleo Approach resource book at Costco last month, learning about the health benefits of a Paleo diet (even though this recipe is not strictly paleo) for treating Michael and Ely’s detox, gut, and OCD behavioral issues (specifically mitochondrial dysfunction that we learned in January, and lymphoid nodular hyperplasia). For those new here, they are my special needs twin boys. Michael is the busy-body while Ely is laid back and easy going. They are identical with similar medical issues yet have such different personalities. Research is showing me going grain-free may help and I am a firm believer that food affects the brain and the gut, and since 80% of our immune system is in the gut, why not give it a try. As you know, I don’t talk much about the various treatments, and therapies we do because I try to keep it light here with recipes I am excited to share with you and because I’m a bit of a private person. I know, strange, considering this here blog. But, I did want to share with you that though there will be more grain-free (Paleo) recipes coming here. I will still share gluten-free flour blends in recipe notes for those who interested. In any event, I am easing into Paleo and taking notes of my observations along the way like I did when we went gluten, casein, and soy free. It’s the only way I will know if removing grains can further their healing. The hard thing is that my oldest son is allergic to eggs and almonds, two vital foods in a Paleo diet! I am working on creating carb recipes without eggs so we can all enjoy them but some require eggs so I may have to hide some egg free bread for him in the freezer! The sandwich bread I made last weekend had eggs in it – my twins boys loved it but Jonathan can’t eat it. I may have to divide recipes again like I do with some baked goods. Another thing I wanted to share with you, I am creating another tab on the home page where I will post health related things on our journey – what we have done to treat many of Michael and Ely’s health issues (treating autism as well as other health issues we deal with), my teenagers ADHD that he no longer has, also nutritional information learned over the years through research and terrific integrative doctors, and about the effectiveness of nutritional supplementation that I have seen over the years. I have not been able to fuse those areas into a recipe post, you know what I mean? For those of you interested, that’s where other ‘health stuff’ info will reside. 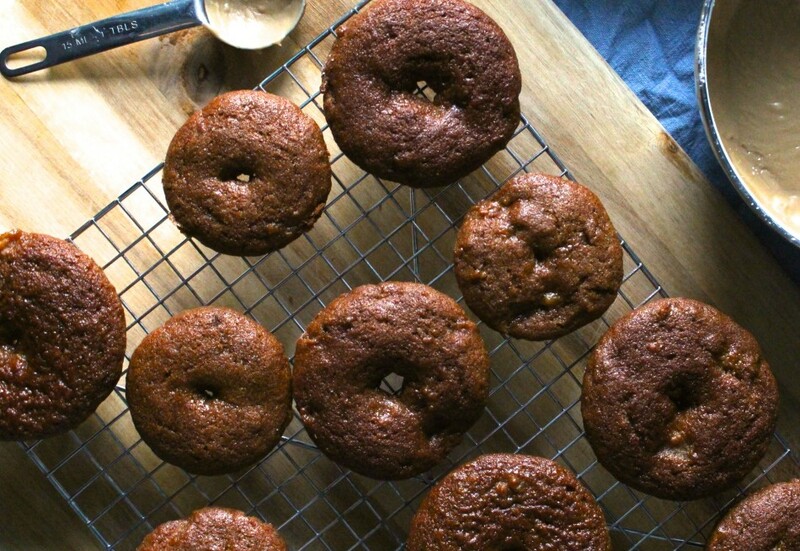 In the meantime, the gluten-free blend in the recipe notes below is what I used for the doughnuts last year and they turned out just as moist, and flavorful! 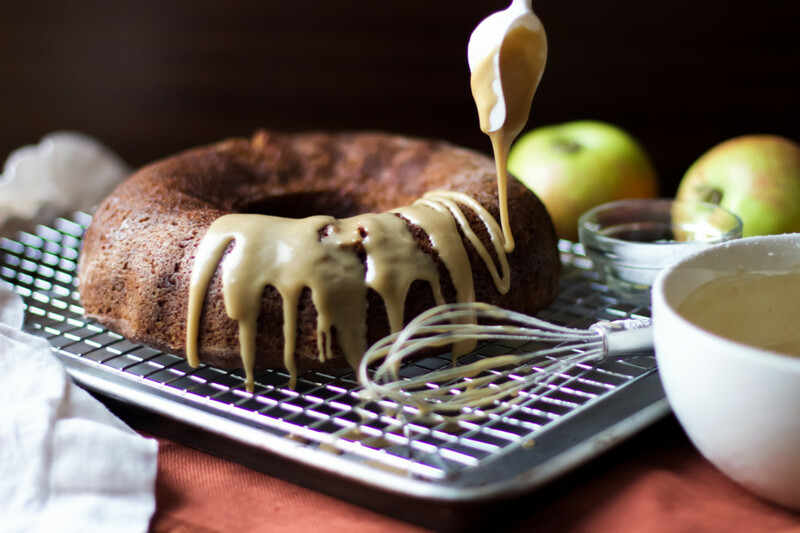 Not only does this spiced applesauce bundt cake taste delicious - even better the next day - it is truly a cake for all to enjoy, whether allergen-free, paleo, vegan, health-conscious, low-fat, and even kosher parve to serve on the Jewish New Year Rosh Hashanah, which celebrates the symbolic apple. And the perfect make-ahead cake recipe! Does it get any better than this? Hello apple season! The applesauce yields a quart. Egg using option in notes below. For doughnuts: double the glaze recipe. Combine prepared apples, water, and sugar in a medium (3 qt) saucepan, set on medium high heat. Stir to combine well, when it begins to simmer stir again. When it comes to a boil reduce heat to medium and add cinnamon and vanilla paste, stir again and every five minutes or so. Stirring occasionally will prevent the apples from sticking to the bottom of the pan. Cook for approximately 20 minutes, or until most of the liquid has evaporated. Use a hand held immersion blended or use a potato masher to reach desired consistency. Let it sit in the saucepan for 10-15 minutes to cool slightly then transfer to a glass jar (if using a plastic container wait until completely cooled so as not to leech plastic into your sauce). The sealed jar will remain fresh refrigerated for up to two weeks. 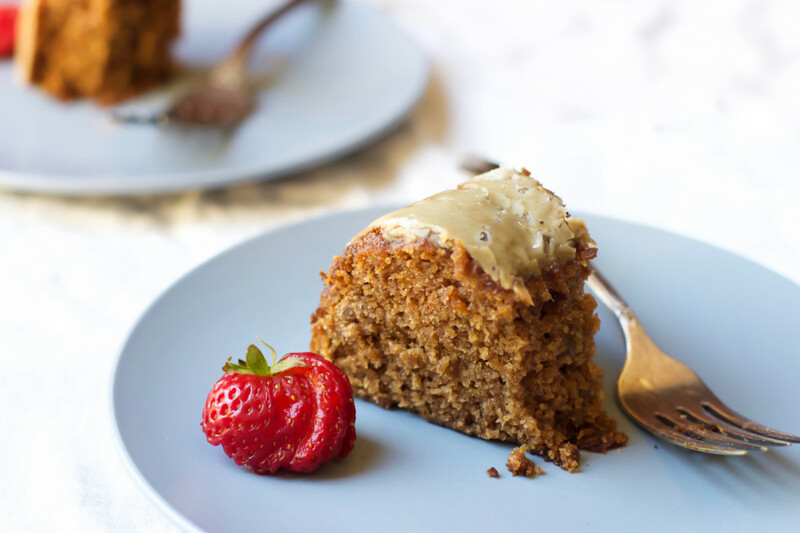 *The bundt cake will use about half, leaving enough for topping yogurt, as an egg replacer (if needed), on toast, spoon straight out of the jar … you get the idea - it’s good stuff. *Have all your ingredients ready, each ingredient doesn’t need much blending and we don’t want to over mix the batter. Prepare oven rack in the center and preheat oven to 350 degrees F (176 C). Grease a large bundt pan (or 2 doughnut pans) with non-stick coconut oil spray then dust a light coating of tapioca starch, set aside. In a medium bowl, combine all flours, psyllium husk, baking soda, kosher salt, cinnamon, ginger, and allspice, set aside. In a stand mixer with a paddle attachment set on medium speed, or a large bowl using an electric mixer, beat both sugars for 2-3 minutes, or until fully incorporated. Add chickpea liquid and cream of tartar, mix another minute until it looks light and creamy. Add half of the applesauce, half of the oil, then remaining applesauce and oil and vanilla. Immediately reduce speed to low, add flour blend and combine until just blended. Do not over mix. Use a rubber spatula to scrape any sugar at the bottom of the bowl and loose flour. Pour batter in greased and floured bundt pan. Note: It will come up about an inch short from the top of the pan. Place on center rack and bake 55-60 minutes. A toothpick in the center should come out with some crumb but not wet. Let cake cool for 20-30 minutes in the pan and should be only slightly warm to the touch. This is important, otherwise it won’t release easily. 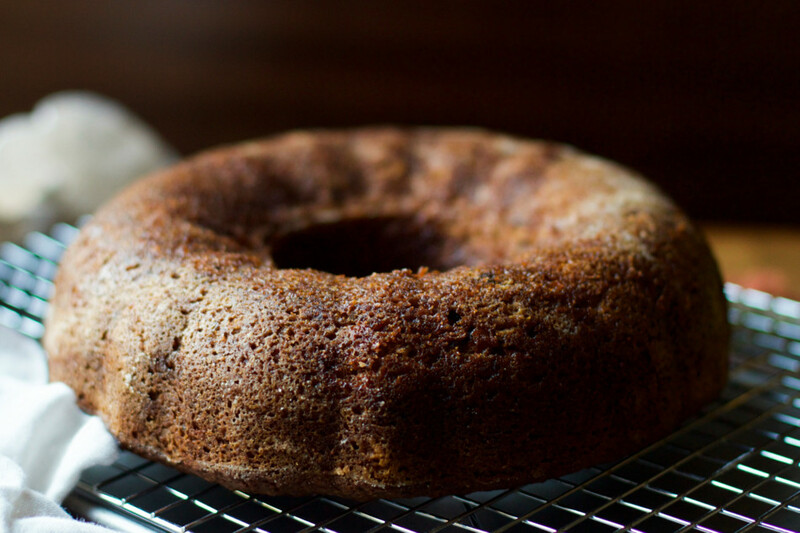 When cooled, place a cooling rack (right-side down) on the bundt pan, hold the bundt pan and cooling rack tightly together then flip over to release the cake. Tap the pan on its’ sides if needed. If it’s not releasing wait another 5-10 minutes to cool. Place parchment paper under the cooling rack to catch glaze drips. In a small saucepan, combine non-dairy soy free butter, brown sugar, coconut milk and kosher salt, set on medium heat. When melted, whisk ingredients to blend then bring to a fast rolling boil, without stirring, boil an additional minute (exactly). Remove from heat and cool caramel in the saucepan for 15 minutes then transfer to a heat-safe medium bowl. Slowly add powdered sugar while whisking until well blended (you may need more to reach desired thickness). Consistency should be thick, and pour slowly, not thin like an icing. If it’s too thick, add ½ teaspoon of water at a time until reached consistency. Spoon glaze over cake, then sprinkle coarse sea salt and serve. I find the drizzling spoon from Wilton Co., used for chocolate making, makes the prettiest and less messiest drizzles (sold at any baking supplies store or online). Note: Stir the glaze just before glazing. It will stiffen up and form a sugar crust as it sits but easily blends again with a good whisk. Transfer batter into a gallon-sized ziplock bag and cut about 1 inch off the tip of one corner. Pipe batter into (greased and floured) doughnut pans to the top. Use the back of a spoon to even out, if needed. For a quicker but messier approach: use a small liquid measuring cup to pour in about a ¼ cup or so (until ¾ full). Bake 30-35 minutes, or until a toothpick comes out clean. Mine were done at 30 minutes. Let doughnuts cool for 15 minutes (pans should be slightly warm the touch) before releasing. These are very moist, much like cake, and will release gently. If it feels resistant (I had a couple of these), gently twist the doughnut slightly and lift. Invert doughnuts onto two cooling racks to give them ample spacing and cool another 15 minutes. Place a piece of parchment paper under the cooling rack to catch drips. Dip cooled doughnuts, halfway, into the glaze and twist to catch the glaze. Gently slide any excess glaze along the edge of the bowl, if needed. Set back on cooling rack to set. After about 4 or 5 doughnuts, sprinkle on coarse sea salt (to your liking) before the glaze set. Repeat until completed. It will set somewhat quickly in a room temperature setting and may stick to the cooling rack when dripped down. If so, rub a toothpick underneath to separate the doughnuts before lifting. Best served immediately. Can remain fresh refrigerated up to three days. If making doughnuts ahead: Freeze them baked and unglazed between sheets of wax paper and seal in a freezer-safe container up to a month. Thaw in the refrigerator then come to room temperature and glaze. Glaze is not freezer-friendly and best prepared the same day as serving. If you choose to use eggs to make this Paleo: omit the aquafaba, cream of tartar and 2 tablespoons of apple sauce, then add 2 whole eggs after creaming the sugars, and beat for a minute before adding in applesauce. 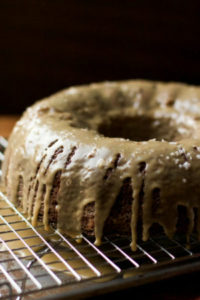 Bundt pan: the batter may come up to the top of a smaller bundt pan but I haven’t tried that. Nice cake! It looks like I'm going to get more apples at the market. I remember my mother making apple sauce but without the cinnamon and she never used ginger or allspice. She was heavy on the sugar and who needs that. I can't wait to try both the apple sauce and the cake. What a stunning cake! It's nice to see that it makes doughnuts too. So much easier to have a good recipe for different applications. 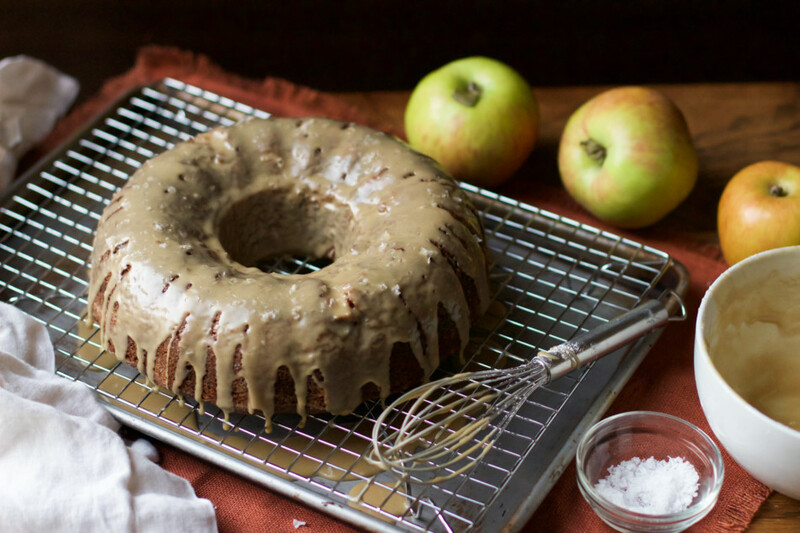 I will indeed make this cake this weekend to try it out from my Rosh Hashanah dinner. I don't know how you do it, and then also grain free but as always love your tasty recipes!! Thank you for including an egg substitute for Paleo. I saw this on Facebook and couldn't believe my eyes, this looks wonderful!! We are Paleo but my husband cannot have nuts so this is perfect! No nuts here and with eggs you are good to go, I mean enjoy. ;) Hope you love it as much as we did Lauren! I love making homemade applesauce. I make mine with macintosh and grannysmith but will try your recipe because it looks amazing-not watery at all and that cake! I recently bought a bundt pan and now have a good excuse. Thanks for sharing your gf blend, I have them all on hand, now need apples! It's so funny I was also ponderingabout going paleo, or at least trying it once or twice, and wua la! Did I spell that correctly? Whatever. Anyways, I wanted to shamefully ask if there's a preference as to which apple sauce I could buy for this? I'd love to make my own but am honestly too much of a novice and do not want to screw this up! Is smoother better, or no? And frosting as well? Sorry for all this -- oh, and yes, these do look wonderful! I may have to go with making them in batches as we don't have any loaf pans as such, pretty sure. Thank you, thank you! Found ya on pinterest! Thank you Sharon. I think any chunky applesauce would do, preferably organic since apples are heavily sprayed with pesticide. 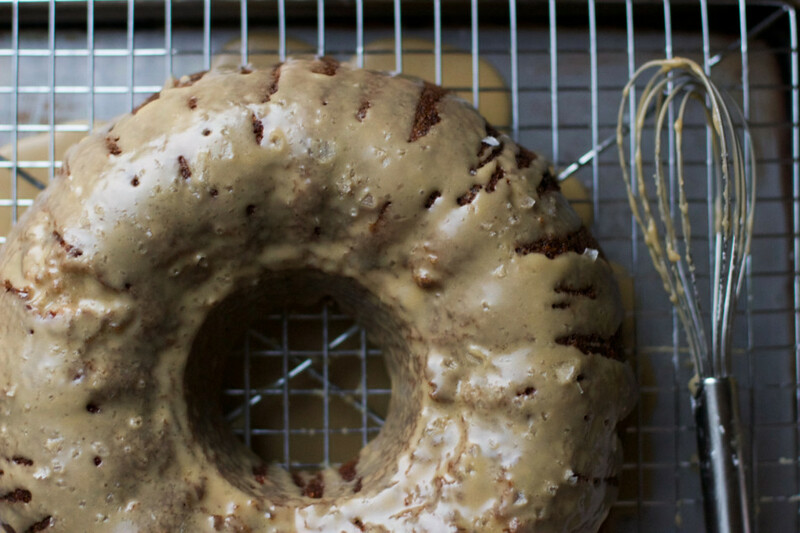 The best pan for this cake would be a bundt cake pan or make them as doughnuts. Bundt pans can be easily found at baking supply stores and at most supermarkets. Hope you give it a try! I couldn't find honeycrisp at my store so I bought Jonagold instead, to go with Granny Smith and Gala for applesauce and it turned out beautiful. I stirred it often as you said and it thickened nicely then quickly in last five minutes. I now see why you put vanilla in here. I didn't understand how a small amount could really do anything but after it cooled I tried a spoonful and it was hard not eating the whole thing! It does not taste like my usual apple sauce. I couldn't pin the vanilla but it somehow makes the apple and cinnamon flavor really come through. Duly noted. Great recipe Jessica, bundt here I come. Yay for good applesauce Emma, the vanilla really makes a difference, doesn't it? Happy to hear you love it and enjoy the cake - hope you love it as much as we did! Hi! SO GLAD to see a chestnut flour recipe! YAY! THANKS! My sister is paleo and I am celiac so I thought why not try this. I used eggs and the cake turned out wonderful. 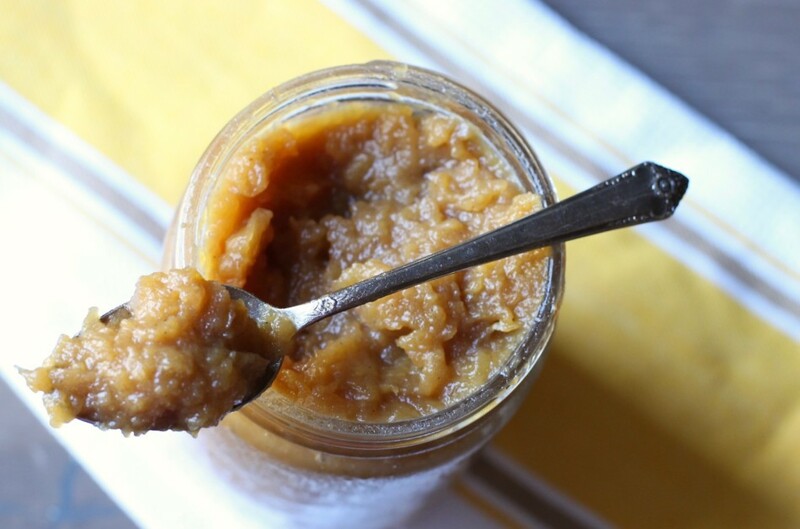 I made your homemade applesauce and it is to die for. Never thought I would love applesauce so much. I cannot wait to serve this tonight! Thanks for a great recipe! I don't have chestnut flour and cannot have coconut (from the gluten free blend you provide), any suggestions for a substitute? Applesauce came out delicious but the cake was incredible! I sprinkled powdered sugar on it for a dinner last night and had a slice this morning and it was still moist, not common with gluten free! Now I want to make more! Great recipe.